Making people understand your pet control rules and policies can be easily done with the help of pet signs that show precisely what you mean. 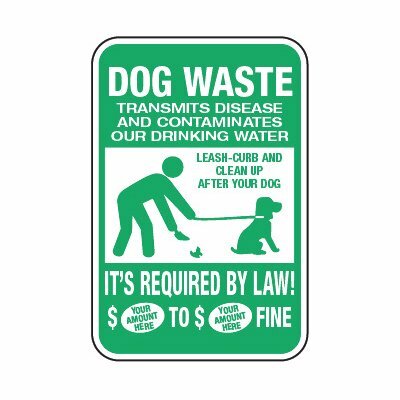 Part of Seton’s collection of property signs, these dog signs are pre-printed with clear graphics and bold letters that are easy to see and can be easily understood by pet owners in the area. 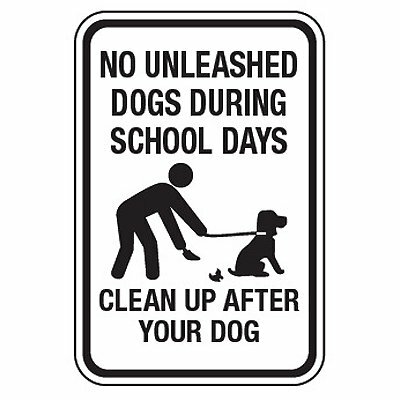 Made from either reflective or non-reflective aluminum, these durable pet signs pet signs are suitable for outdoor use and can withstand harsh conditions. You can also choose to upgrade your dog signs with Seton UltraTuff™ overlaminate. This extra layer will effectively protect your dog signs from solvents, chemicals, abrasion, and other factors that may eventually affect the quality of your property signs. Check out our wide selection of dog signs and you’ll surely find what you need at competitive prices! 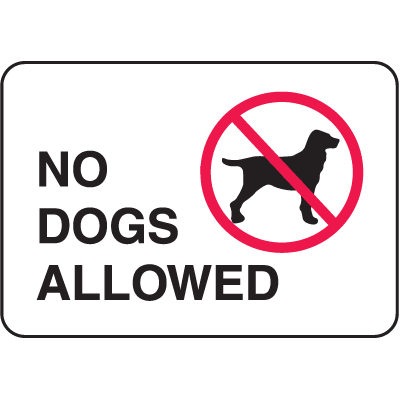 Impose your pet rules effectively with Seton’s clear and easy-to-understand dog signs. 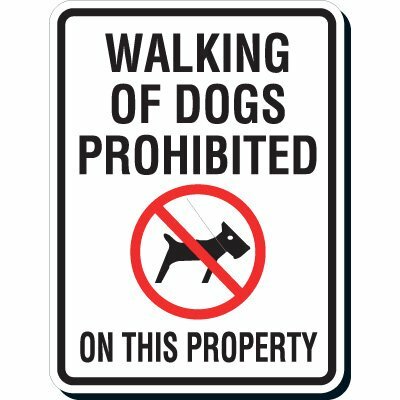 Avoid pet related problems by effectively enforcing your pet rules with Seton’s durable dog signs and pet signs. Aside from the mess and annoyance that improperly disposed pet waste can bring, water contamination, property damage, and pet related diseases are other problems that may arise if pet rules are not properly followed within your facility. Decrease the possibility of these problems arising by posting dog signs and dog warning signs that can be easily understood by pet owners around your facility. 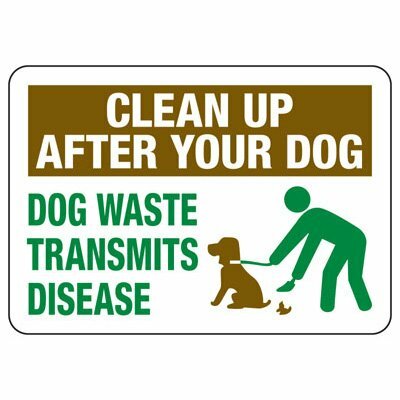 Our conspicuous pet control signs and dog signs constantly remind everyone of their pet responsibilities. 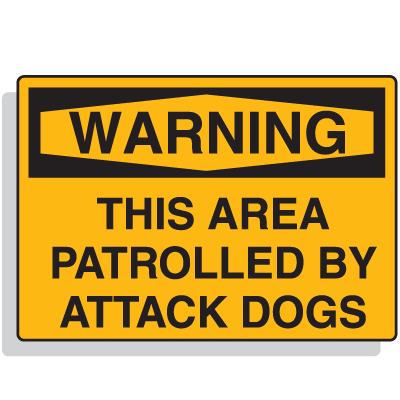 These pet signs are available in different sizes and printed in large letter formats to ensure that pet owners notice your pet warning signs even at a distance. These dog signs also conveniently come with pre-drilled holes for easy mounting. This also allows for easy transfer and reuse without damaging your pet signs. For maximum visibility and proper sign installation, you can use sign posts and other sign accessories that can also be found in our site. Aside from dog signs and pet signs, we also carry a selection of property signs and security signs for your other needs.